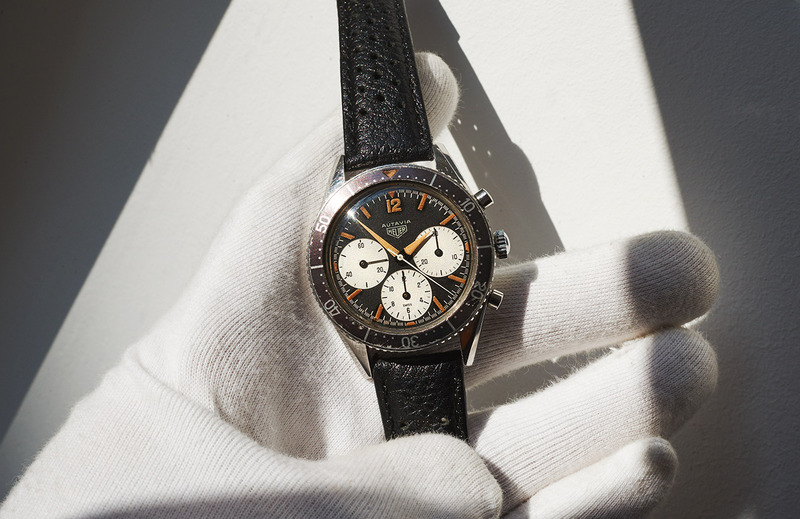 Here it is: the ultimate vintagewatch collectors grail. 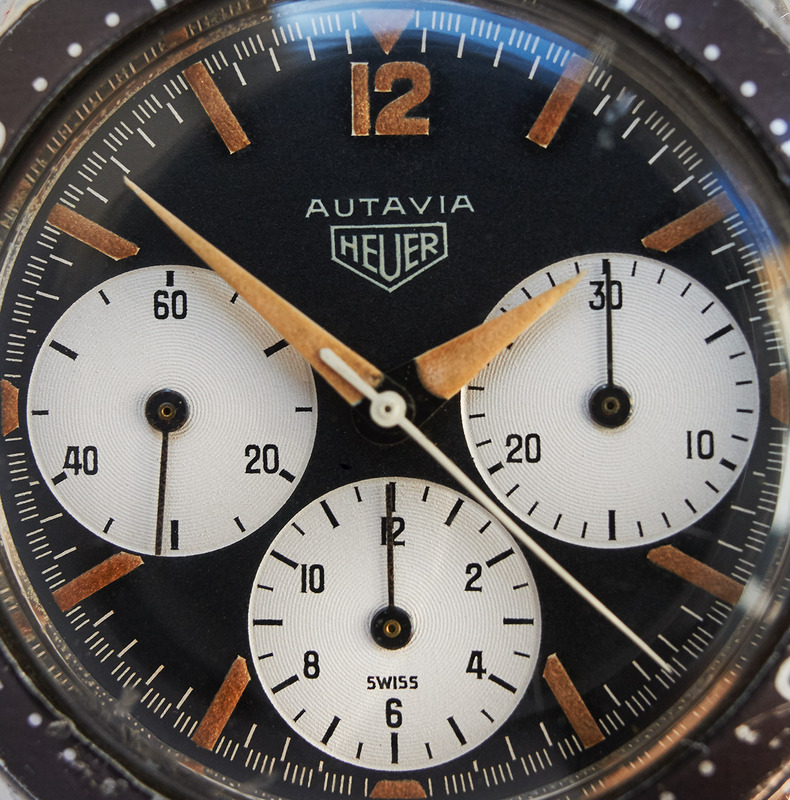 The very first execution of the Heuer Autavia 2446, the „Big Subs“ with fulllume-hands. Only 6-8 pieces are known so far. Anyone who will be interested in this watch is an expert on it anyways, so a description could easily be replaced by these highresolution images (more on request). The most important facts are, this watch is absolutely authentic in every single part, has an unpolished case, fully authentic radiumlume on dial, hands and triangle with outstanding ambercoloured patina. Just like it came out of the factory. 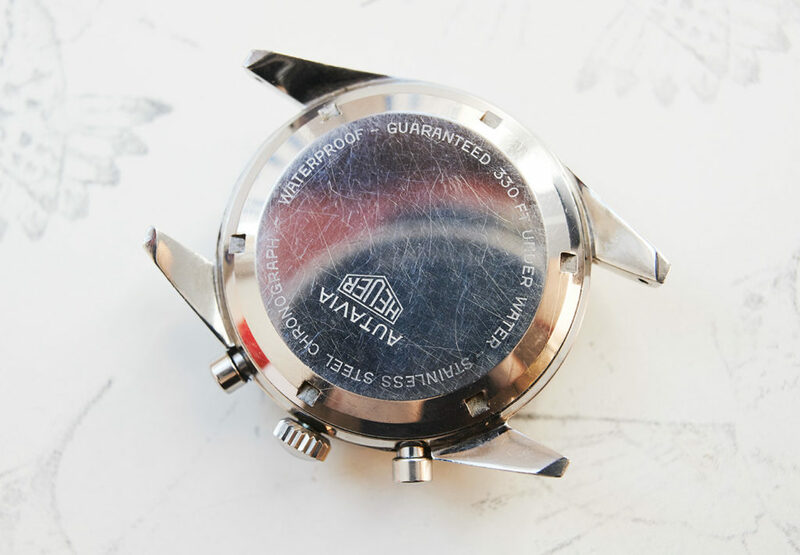 Not even watchmaker-signs can be found engraved in the caseback. It has never been offered for sale on the open market and is yet not listed in important registries like the one from OnTheDash.com . What you will find in this registry is even more astounding. 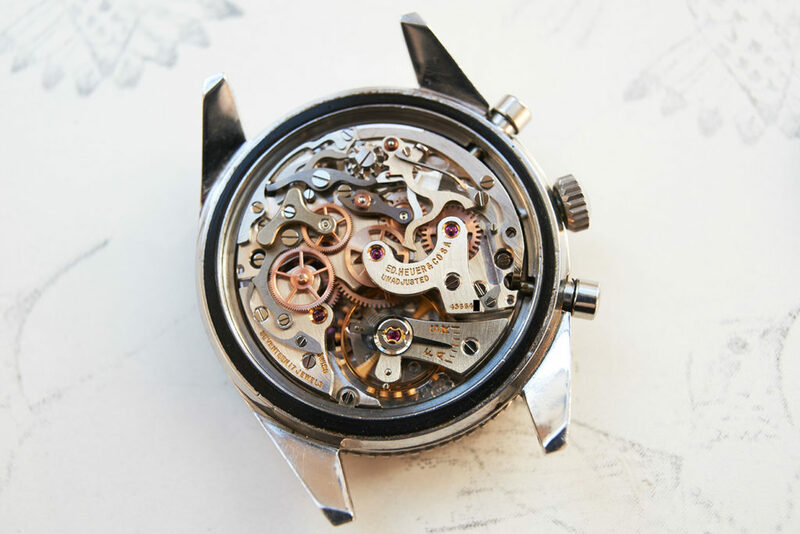 The serial of this watch (492xx) is only four numbers away from the personal watch of famous OTD owner, Jeff Stein, the movement-serial is even only one number away. 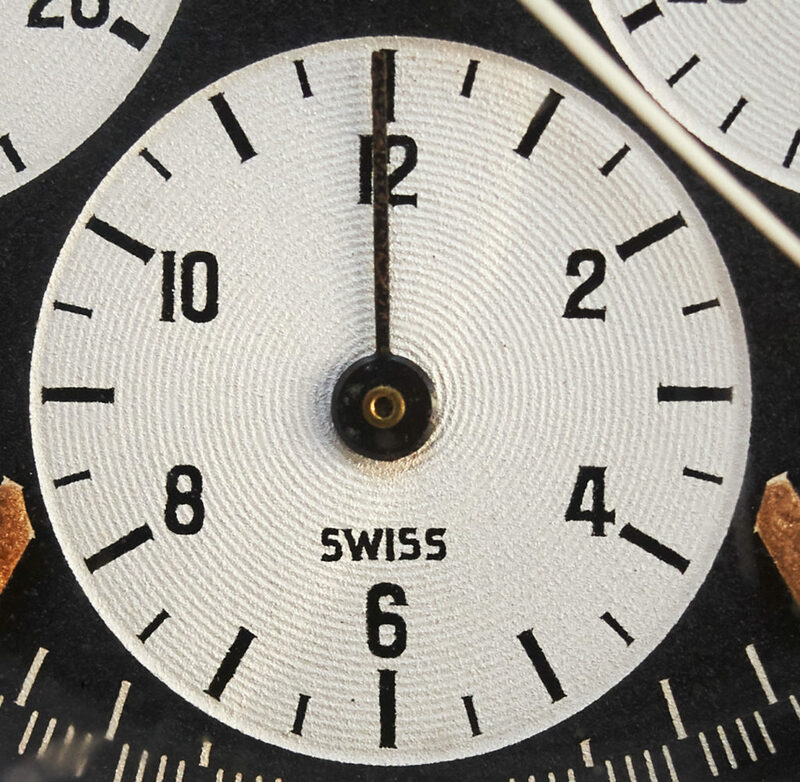 So this means that we have a high chance to have found two watches that may have been produced on the same day by the same watchmaker. 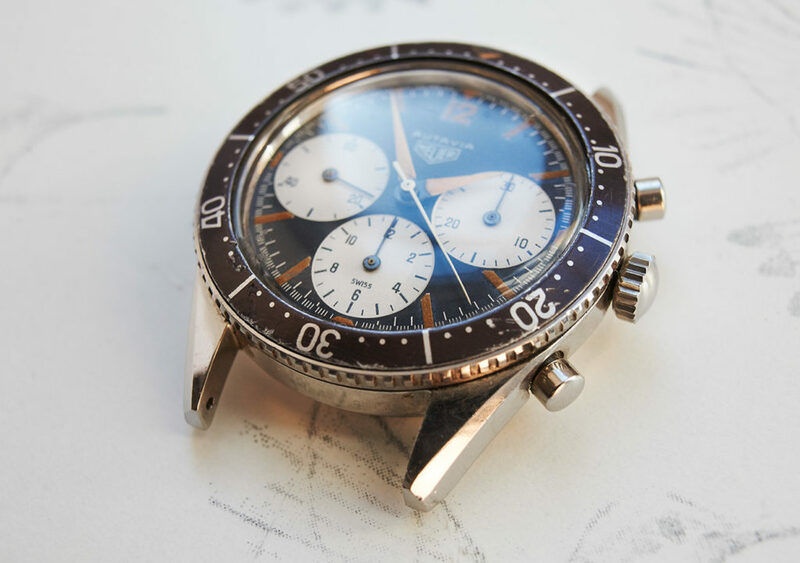 And what I love most on that fact is, that the patina on diallume, hands and even the tropical brown-fadet bezel are absolutely comparable to each other. 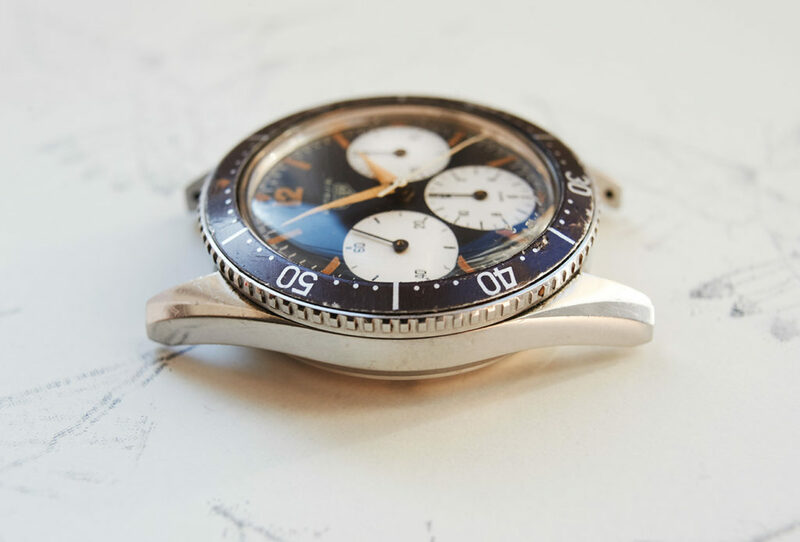 That is pure magic for every true vintagewatch-connaisseur. The allover condition of this piece is absolutely awesome and stands for it´s own in comparision to other 1.execution examples that have been on the market in the past years. The pricedevelopment of this refference has been breathtaking if you look back some years, but most experts look more into the future and don´t expect this development has allready reached it´s peak yet. 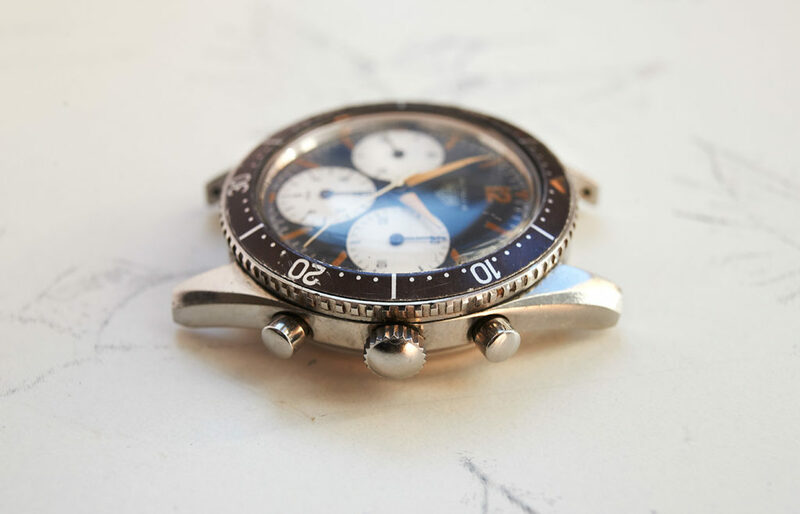 Some collectors would maybe prefer a Paul Newman Daytona instead and they would even have the chance, at any time, to choose between 40 to 50 examples on the open market. This one here is maybe a once in a lifetime chance and for sure one of the best and most honest „Big Subs“ that came up for sale. 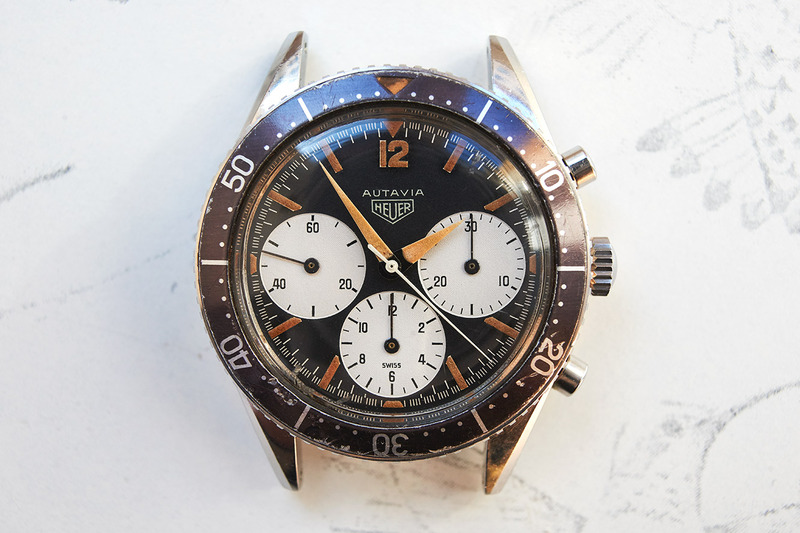 The Autavia will be shipped worldwide, as usual with insurance on full salesamount. 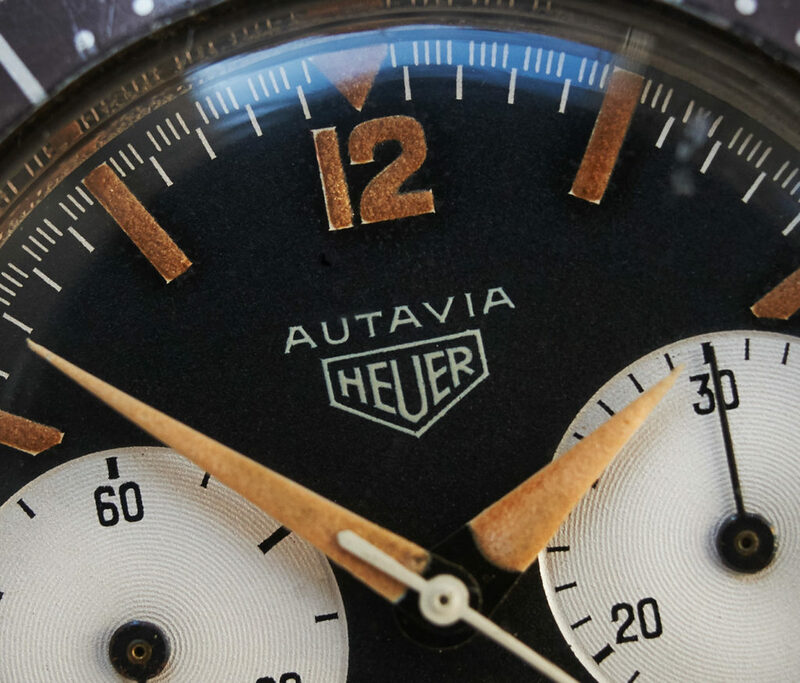 You will also find a follow up story on Hodinkee under this link when the new owner brought his piece to the Heuer headquarter in La Chaux-de-Fonds.